What is a driverless car and how do they work? Behind the scenes of the auto industry, key innovators are working on autonomous driving and driverless cars. With so many wondering how this technology will work and when it will become available to the masses, we’ve provided a guide to driverless car technology. Who invented the self-driving car? What you may not be aware of is that experiments on autonomous vehicles, such as driverless trucks and cars, have been conducted for almost 100 years, with the first work on such technology recorded in the early 1920s. The first self-sufficient, semi-autonomous vehicle arrived in 1986: the Carnegie Mellon University’s Navlab, which had a top speed of 20mph. This model could estimate your position using steering wheel and drive shaft encoders. A driverless vehicle, also often referred to as an autonomous car or self-driving car, does exactly what it says on the tin. It is a robotic vehicle that is able to effectively and safely travel without the need of human intervention. To qualify as a fully autonomous car, it is required to navigate without the requirement of human operation on a terrain that has not been adapted for its use. What would you do with an extra 50 minutes a day? Better yet, what would commuters all around the globe do with a collective extra billion hours a day – an amount of time equivalent to double the time it took to build the Great Pyramid of Giza? Such increase in available time is just one of many benefits of autonomous driving. Technological advancements such as mobile phones, wireless internet and the huge improvement in digital maps have meant developers have refocused on autonomous driving, with its capabilities maturing and expanding with the aforementioned innovations. While this technology may still be some way off, you can’t help but feel excited about its potential. For instance, over 90% of road crashes are caused by human error. If we can put our trust entirely in autonomous trucks and cars, which will of course be daunting for some, the potential for an increase in safety is gigantic. Imagine traveling to and from work, with a huge reduction in traffic, and watching a film on the way there. Or, maybe you’d prefer to write some notes on the meeting you’ve just had while ‘driving’ back to the office. The upsides aren’t just work-related, though. No longer will a trip to the pub require a designated driver; no longer will you require four cups of coffee on a long road trip; no longer will you be late to meetings due to the chore of finding a car parking space. Autonomous vehicles receive a lot of attention from the media, but very few actually know how they work. It’s a good job we’ve done our research to help you guys out! A lot of the capabilities of a self-driving car rely on sensors; from radars that monitor the position of the wheels to video cameras that detect traffic lights and road signs and LiDAR sensors to detect lane markings and the width of the road. Wondering how a driverless car can sense its surroundings, in particular parked cars and curbs? This is done via ultrasonic sensors that fire out a laser and wait for a reflection to come back, similar to the echolocation ability of a bat. These sensors are capable of taking 1.3 million readings per second. Which companies are making driverless cars? The Google and Tesla driverless cars may receive most of the press coverage, but these tech giants are not the only ones working on autonomous technology. Volvo and Fiat Chrysler, for example, are currently reshaping their future strategy to revolve around their progress in this field. Meanwhile, Ford have recently promised to mass produce fully autonomous vehicles with no steering wheel, brakes or human interaction needed, by 2021. Elsewhere, there have been predictions that there will be 10 million self-driving cars on the roads by 2020, and by 2030, one in every four cars will be autonomous. You may remember the tragic passing of Tesla’s Joshua Brown in 2016, the first known death caused by autonomous driving. This was down to the vehicle’s failure to detect an 18-wheel truck and trailer crossing the highway on a test run in Florida, an incident that obviously cast doubt on the required trust driverless cars need to become a part of everyday society. Elon Musk, Tesla CEO, has since declared an alteration to the company’s technology that would have prevented the accident from happening. In regards to successful tests, you only have to look as recently asApril 2017 in London, where 100 members of the public were able to travel in a prototype self-driving shuttle on a two-mile journey. 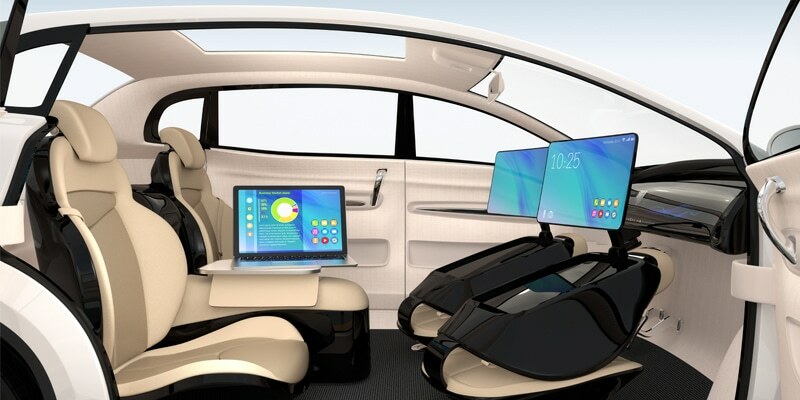 The future appears bright for driverless cars, and by as early as 2019, some companies have announced that they want to test these vehicles on the motorway. Watch this space.